Kathy Foley is a Professor of Theatre at the University of California, Santa Cruz. She teaches in the Theatre Arts Department and has also taught at Univesity of Malaya, University of Hawaii, Yonsei University, and Chulalongkorn University. She is author of the Southeast Asia section of Cambridge Guide to World Theatre and editor of Asian Theatre Journal and her articles have appeared in TDR, Modern Drama, Asian Theatre Journal, Puppetry International, and other journals and various books. She trained in mask and puppetry in the Sundanese region of Indonesia and was one of the first non-Indonesian invited to perform in the prestigious all Indonesia National Wayang Festival. As an actress her performance of Shattering the Silence: Blavatsky, Besant, Ruukmini Devi toured the U.S. and England in 2005. 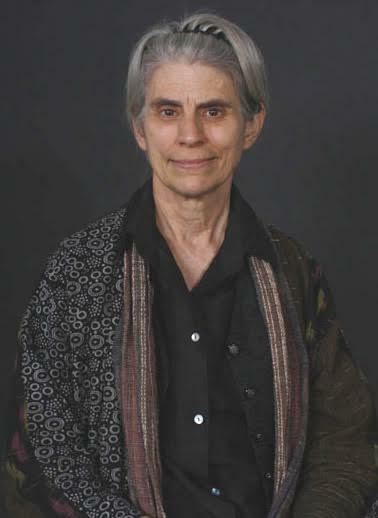 She performs frequently in the US and Indonesia and has curated exhibitions of Puppets of South and Southeast Asia and Masks of Southeast Asia for Center for Puppetry Arts in Atlanta, the East-West Center in Hawaii, Northern Illinois Museum of Anthropology, the National Geographic Society and other institutions. She worked on typology and cosmology in Southeast Asian theatre with recent fieldwork in Vietnam, Cambodia, Thailand, Burma, Malaysia and Indonesia. Her research has been supported by grants or fellowships from Fulbright, East-West Center, Asian Cultural Council, Soros Foundation, Hewlitt-Packard and Yale Institute of Sacred Music, among others. Plays include Farewell to Manzanar (with Jeannie and Jim Houston), Baba (with Belle Yang) and Fox Hunts and Freedom Fighters (with Chan Park). She is also a Punch and Judy professor. Reviewer for Theatre Journal, ATJ, RIMA, Crossroads and other scholarly journals. 2008: Bainbridge Arts Center, Bainbridge, Washington. 2007: Palo Alto Arts Center, University of Ohio. 2006: University of Washington and North West Puppet Center (Seattle); Steinbeck Center, (Salinas); KQED-TV "SPARK" program; University of Redlands. 2005: Cowell Theatre, Fort Mason, San Francisco; Guilford College; University of California, Santa Cruz; East West Center, Honolulu, Hawaii; Community TV, Honolulu, Hawaii; Asian Art Museum (SF0; Royal Hollaway University of London and other UK venues. 2004: Ewha University (Seoul Korea); Sunaryo Gallery (Bandung, Indonesia); Frick Gallery, University of Pittsburgh; Guilford College; SPECTRA Artists in the Schools, Santa Cruz, CA; AAP Conference (Toronto, Canada); Chulalongkorn University (Bangkok, Thailand). 2007: Issue editor Kyôgen Special issue, Asian Theatre Journal 24,1. 2005: Editor and a major author of issue on Asian Mask including “Balinese Mask Dance from the Perspective of a Master Artist: I Ketut Kodi,” by Kathy Foley and I Nyoman Sedana, Asian Theatre Journal 22, 2. 2001: Editor and major author of issue on South and Southeast Asian Puppetry with my translation of “The Origin of Kala,” (1-59), “Burmese Marionettes: Yokthe Thay in Transition,” (69-81) and co-authored “Hun: Thai Doll Puppetry,“ with Surapone Virulrak (81-87). Asian Theatre Journal 18,1. 1992: Essays on Southeast Asian Performing Arts: Local Manifestations and Cross-Cultural Implications 18. Berkeley: UC Southeast Asian Monograph. 1979: "The Sundanese Wayang Golek”(Dissertation), University of Hawaii. 2011: “Introduction to Southeast Asia, ” “Melvyn Helstien”, “Roger Long,” “ John Emigh,” “Fredrik deBoer” Asian Theatre Journal 28, 2. 2011: “James Brandon” (with David Jortner as first author) Asian Theatre Journal 28, 2. 2006: "Exorcism and Puppetry," PUCK 14, 1. 2005: "Introduction to Kumi Odori" Shushin Kan'iri with Nobuko Ochner, Asian Theatre Journal, 21, 1:1-44. 2004: "Puppetry in Islamic Culture," Puppetry Journal 56, 1: 26-27. 2004: “Wayang Wong Priangan: Dance Drama of West Java.” By Yus Rusliana, trans., ed., and augmented by Kathy Foley. Balangan: 13-26. 2002: "Aspects of Ritual in Puppetry," Puppetry International 11:37-41. 2001: "Reflections on Southeast Asian Theatre," pt 5:6-11 (In Japanese). 2001: "The Metonymy of Art: Vietnamese Water Puppetry, " TDR 45,4:129-141. 2001: "Dancer and the Danced," Puppetry International 8: 14-28. 2000: "Semar in Sunda: The Southeast Asian God-Clown in his Sundanese Embodiment," RIMA 33, 2:87-115. 2000: "The Dancer and the Danced," Puppetry International 8:14-28. 1990/95: "My Bodies: The Performer in West Java," TDR 34, 2: 62-80. 1988: "Hanako and the European Imagination," Asian Theatre Journal 5,1:76-85. 1988: "Tibetan Opera Music and Dance from Lhasa," The Drama Review 32, 3:131-14. 1987: "Tree of Life in Transition: Images of Resource Management in Indonesian Theater," Crossroads 3:2-3. 1985: "Dancer and the Danced: Trance Dance and Theatrical Performance in West Java" Asian Theatre Journal 2:28-49. 1985: "The Clown in the Sundanese Wayang Golek: Democratization of a Feudal Ethos," Scenarium 9:88-99. 1982: "Of Dalang and Dukun - Spirits and Men: Curing and Performance in the Wayang of West Java," Asian Theatre Journal 1, 1:52-75. 2013: World Encyclopedia of Puppetry Arts [editor, translator and or author] Country, artist and company entries for: Tajikistan, Burma, China [25 articles with Fan Pen Chen], Himalayas, Indonesia [16 articles], Iran [11 articles] Israel, Japan [19 articles], ,Kazakhstan, Korea [18 articles], Kyrgyzstan, Palestine, Pakistan. Philippines [2 articles], Pakistan [2 articles],Turkey [15 articles], Turkmenistan, Nepal [2 articles], and Uzbekistan. 2012: “Odalan Bali: An Offering of Music and Dance by Gamelan Çudamani.” In Greatest Show on Earth, ed. John Freeman, Middlesex: Libri. 2008: “Dance and Performing Arts In Southeast Asia.” In Encyclopedia of the Modern World. Ed by Marc Gilbert et al. N.Y.: Oxford University Press. 2007: Multiple Entries in Encyclopedia of Asian Theater, edited by Samuel Leiter. Westport: Greenwood Press. 2007: Multiple entries in Encyclopedia of Modern Drama and Southeast Asia editor NY: Columbia University Press. 2006: (Translator) "The President and the Prostitute" by Ratna Sarumpaet. In Indonesian Women's Plays. Jakarta: Lontar Press. 1993 : "Burma," "Cambodia," "Indonesia," "Laos," "Malaysia," "Oceania," "Philippines," "Thailand," "Vietnam" (articles with additional genre and biographical entries), Cambridge Guide to Asian Theater, ed. by James Brandon. Cambridge: Univ. Press: 13-18; 19-25; 118-141; 190-192; 193-200; 203-210; 214-221; 234-244; 245-250. 1993: "Sundanese Artists Linking Past and Future," Balungan: 5, 2, author of article and editor of magazine issue. 2008: Princess Pari and her Daughters, with Chan-Eung Park (Korean Shamanic Narratives in pansori singing style), produced at UCSC (April 16), Ronggeng, produced at UCSC with Theatre 22 students. 2002: Pancatantra: Animal Tales of India, produced at UCSC with Theatre 151 students. 2001, 1998: Baba/The Flight of the Monkey King. Adaptation of the work of Belle Yang and Journey to the West. 2006: Alumni Association 'Teacher of Year" honorable mention Academic Senate. 2003: Association for Asian Performance Invited Lecture at ATHE Conference. 2004-2007: Gods, Demons; Monkeys and Kings: Mask Theatre of Southeast Asia, UCSC, Oct.-Dec, 2004; East West Center, Honolulu, Hawaii, Dec-Mar 2005; Northern Illinois University, Mar.-Sept. 2006, Guilford College, Oct-Dec2006. ; Center for Puppetry Arts, Atlanta, July 2006-2007. 2006: Epic Narratives and Puppet Traditions of Asia: Ramayana, Mahabharata and Other Stories, Porter Faculty Gallery. 1999-2004: From the Microcosm to the Macrocosm, South and Southeast Asian Puppets, Faculty Gallery UCSC, Atlanta Center for Puppetry Arts, East-West Center Hawaii, Lyman Museum, Maui Cultural Center, Northern Illinois Museum of Anthropology, Frick Gallery University of Pittsburgh. 1990: The World of Wayang: Puppetry of Indonesia, catalogue for Center for Puppetry Arts (Atlanta, Georgia) touring exhibit for project funded by the NEA, Georgia Foundation for the Arts and Rockefeller Foundation and touring to National Geographic Society in Washington, D.C. SF Airport Galleries, East-West Center, Northern Illinois Museum of Anthropology.